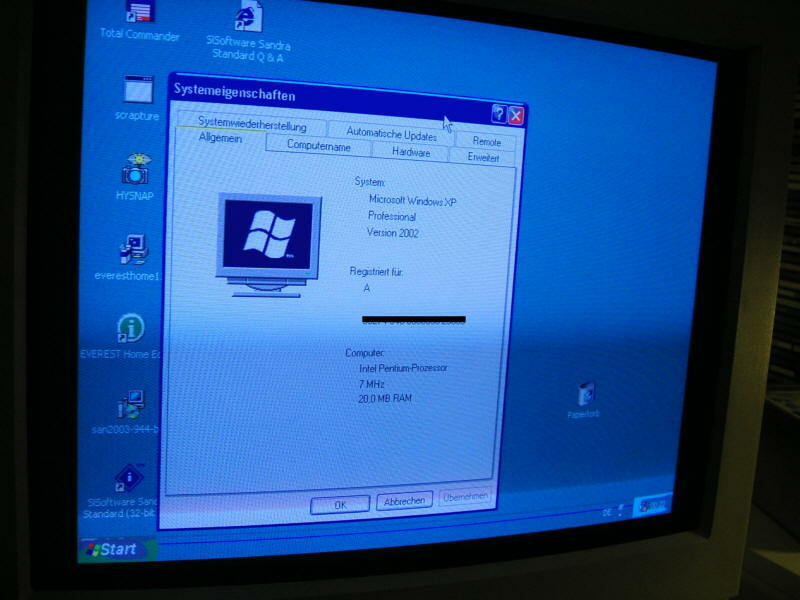 The target of this project was to find the weakest system where you can run Windows XP. 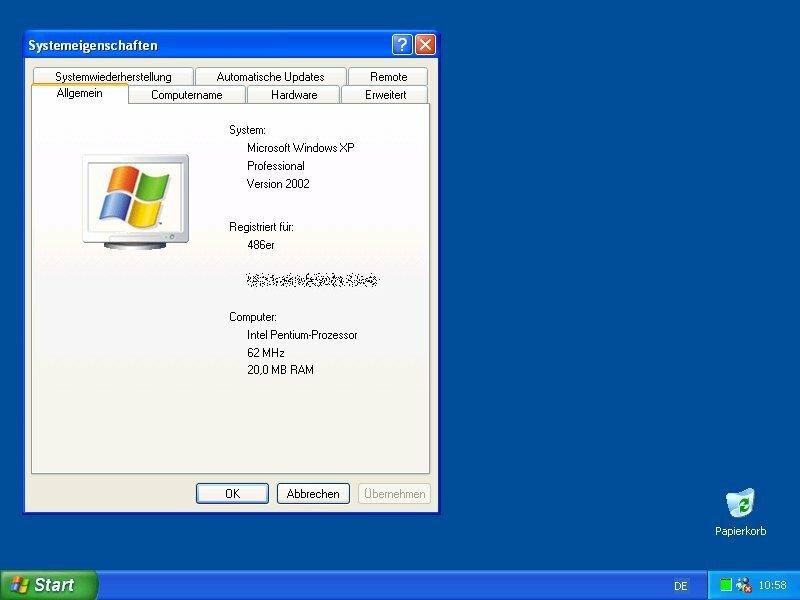 Keep in mind, that Microsoft official requirements are a CPU with 233 MHz an 64 MB of RAM. But that had to be beaten! Read now about the contest of Antz and me, and how it will all end in hist record in january 2006. The setup worked without any problems, you only had to spend more time. 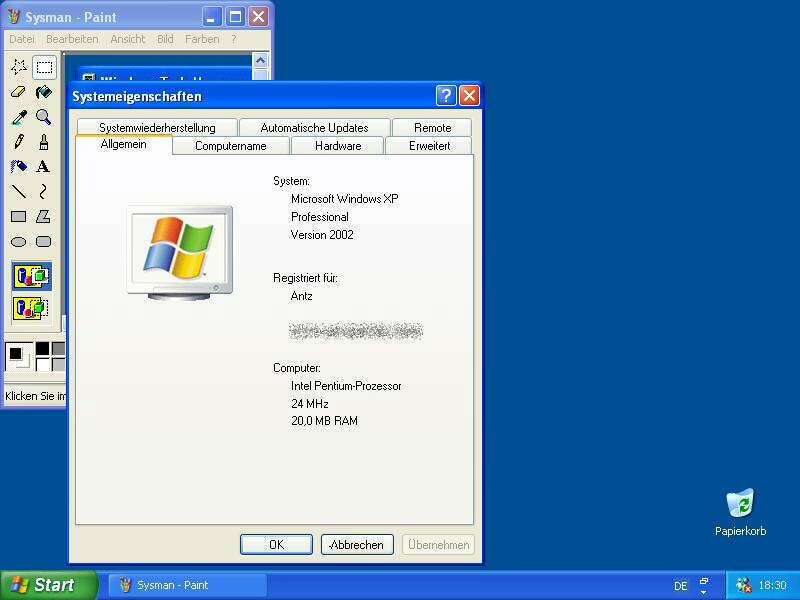 Windows found a Pentium, but it does not matter if it is a Pentium I, II, III or IV. The 64 MB of RAM are at the setup MINIMUM, if you have less at this point you get a error and the setup will be ended before it really started. 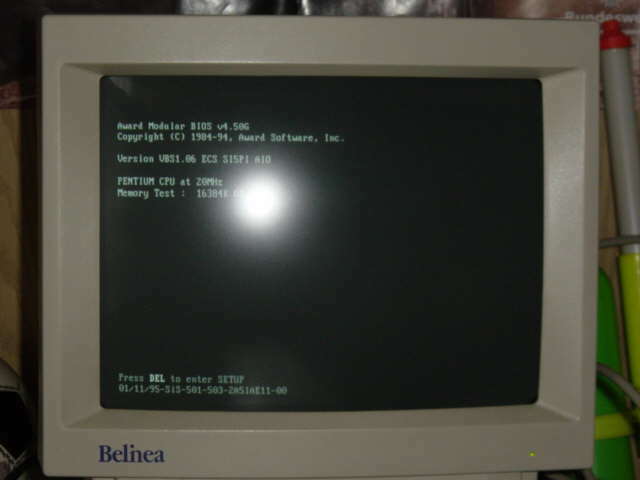 The installation or starting of XP on a 486-system is NOT possible. We tried it (see below). 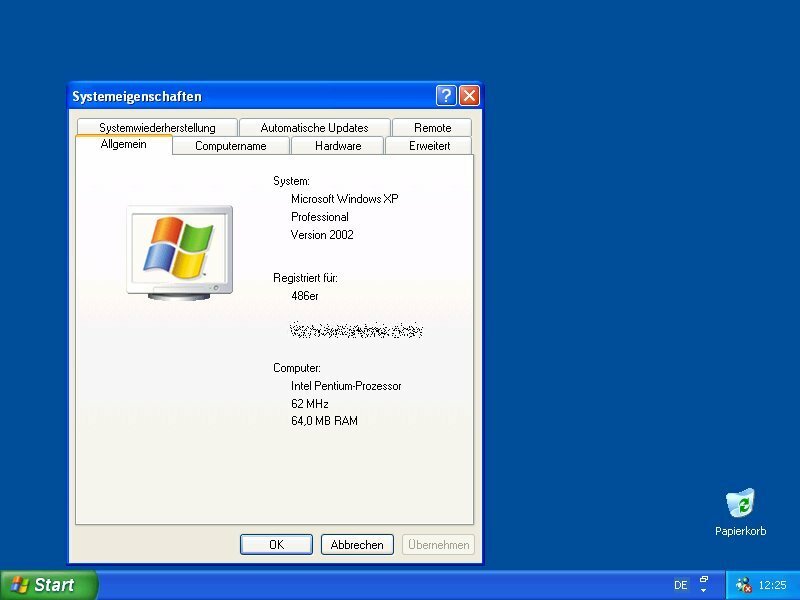 After the setup XP is not as fastidiously as before, you can easily remove memory. With 16 MB XP will not start anymore, you have to have a little more, see Test Two. 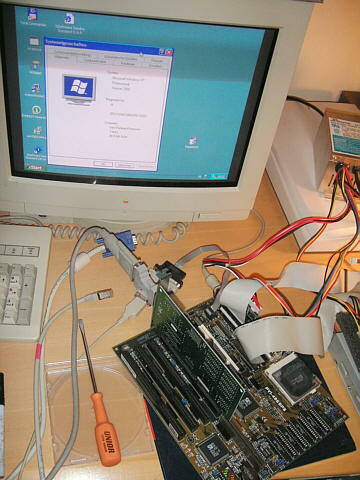 At a new try to install XP on a 486-system, Antz has succeeded to install it on a socket 3 mainboard (the last socket for 486 cpus). 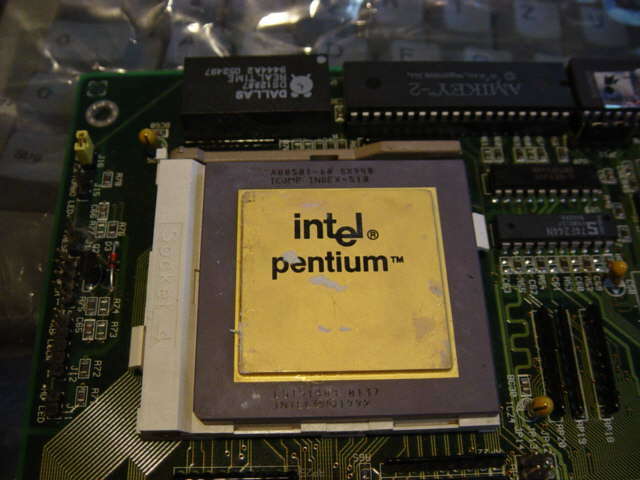 However he used a Pentium Overdrive. This very fantastic kind of technics has an original Pentium core, but with a 32-bit memory-controller specially constructed for the 486 socket. 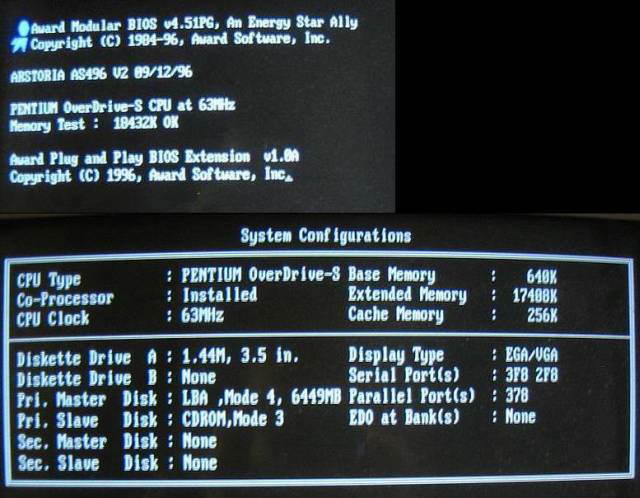 The memory record was reached with the usage of the 32-bit memory-controller, an ordinary pentium has a 64-bit memory controller and does need 2 Edo modules (they have a 32-bit interface), but this one only needs one modul of Edo. Antz has successful reduced the cpu clock. He only removed the fan of the Overdrive cpu. The fan is power-supported by the cpu, so the cpu can check this and if the fan is missing ,a pentium overdrive will set the multi to one. So the cpu runs of 1x25 MHz instead with 2,5x25 MHz. The time for booting is about minutes. 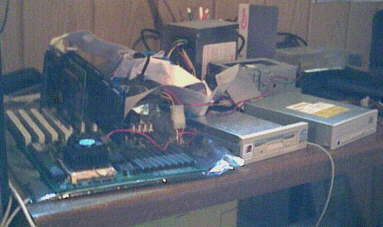 To beat the CPU-record made by Antz I used the first Pentium-processor: the Pentium 60 MHz. It runs synchronously with the frontsidebus, so he had a multiplicator of one. 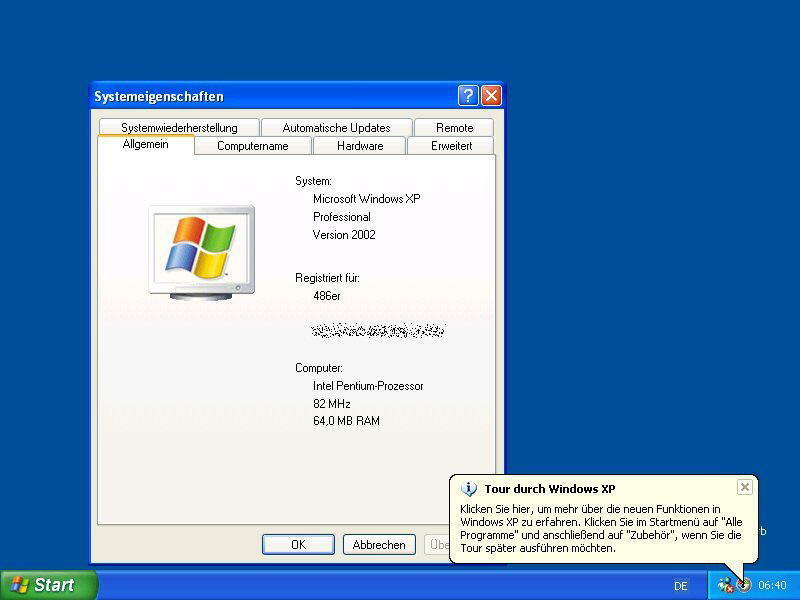 But to the beginning a bad surprise: XP always crashed every time in the first part of the setup. 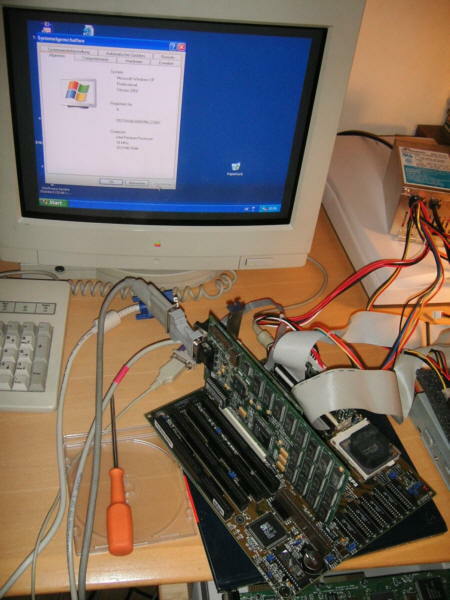 Because I had no idea why, and nothing helped I did the same as in my "Windows 98 on a 386-system"-try: I changed the board for the time of installation. So I used the board from test 1, and the whole process took about 4 hours. When I changed the boards XP needed a very, very long time to start up, because it installed the new mainboard devices, but finally: it worked! Until today I don't know what the setup made crash. The jumperblock, the jumpers 5,6,7 regulate the systemclock=CPU clock. Here they are set to 25 MHz. I have found 50 an 33 MHz too, but why so much power? Of course I halved the memory down to 32 MB. I could not remove more, because I did not own the right modules and I had to use pairs of Edo (64-bit memory-controller...). One short look in the systemmanager. The list is rather short, the Rush does not have any driver and there is no CPU (but the mainboard chipset is correctly identified). Suprise while booting: 20 MHz! Although this clock is not possible on most socket 3 Boards, this one makes it! For what reason this is jumperable? 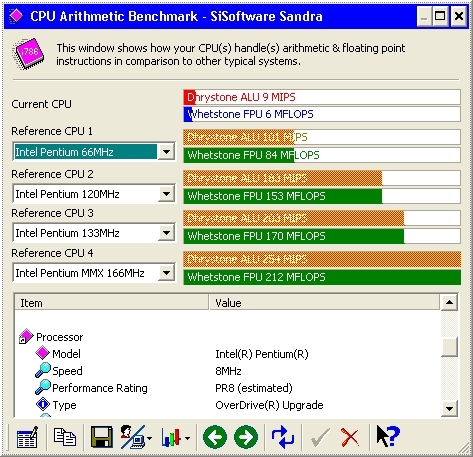 I do not know...There were rumors about a Pentium 50, but the official lowest Pentium is the one with 60 MHz. Perhaps it had something to do with the turbo-switch, they were working not uniformly. 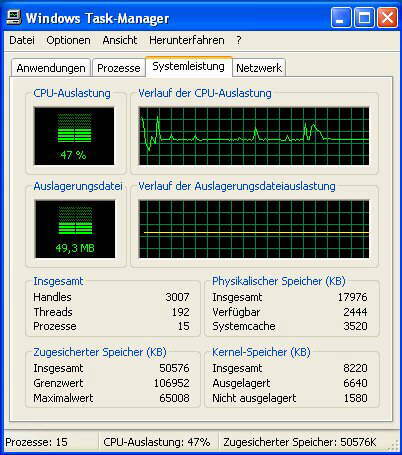 The CPU is working at full capacity to 60 % when you are only using the Desktop! 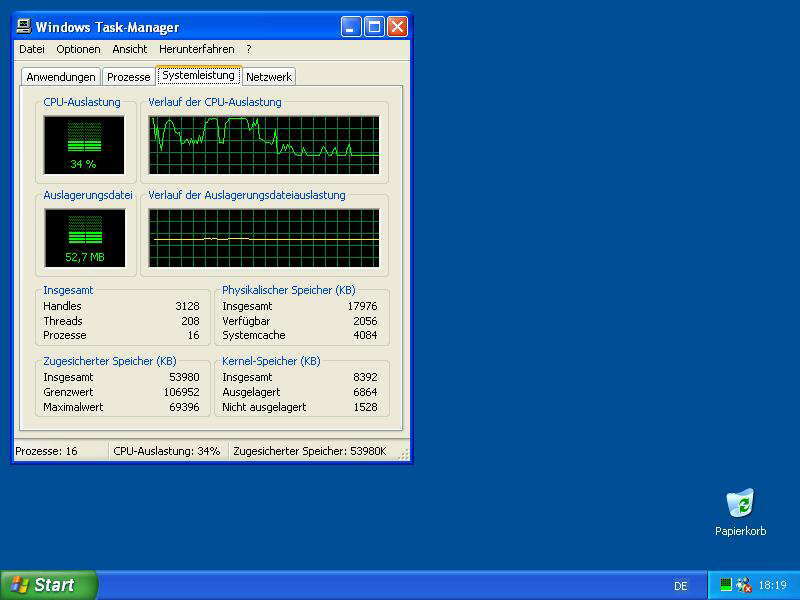 Nowadays with a modern CPU you had to run much tasks in background to reach such a high level of work. 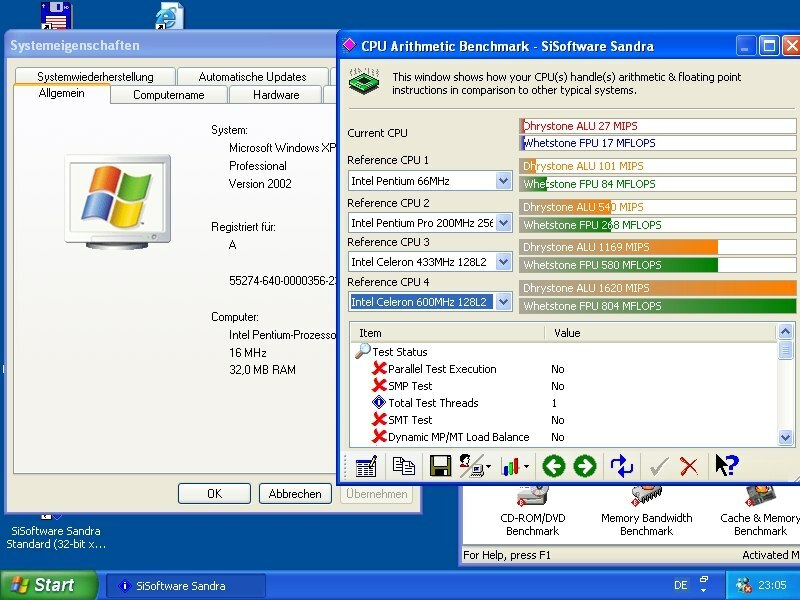 By the way, Windows XP runs with 20 MHz more worser than with 25 MHz. At 20 MHz everything was loading much longer, and not every cold-start was successful... But it's a new record! Antz strikes back. 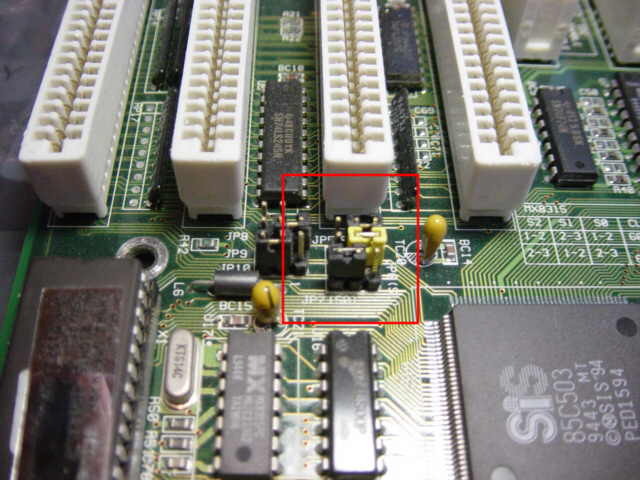 With an equal setup like in try number two and a Pentium Overdrive (without fan) downclocked to 16 MHz, which you can set with the jumpers JP25-28 on pins 2-3. The installation was made with the help of nLite during the night. With a little try Antz have made it. The frontsidebus was set down to 8 MHz, XP runs now with the clock of an ISA Slot! The clock is so little, that the PCI graphics card was unable to boot correctly, so Antz had to install an old ISA graphics-card. On the first turn he used a Acance Logic, secondly a Cirrus, because this one allows a 256 colors. 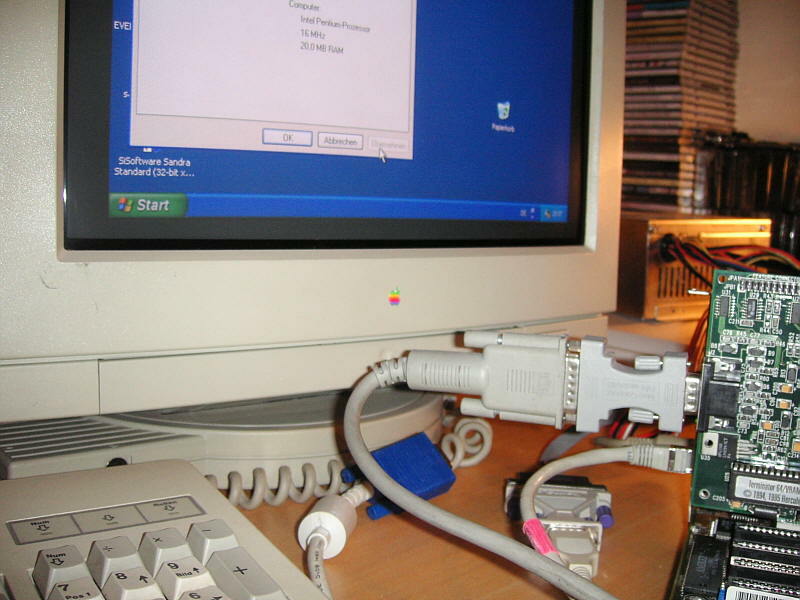 The ethernet-card is more stable, it is PCI but runs still with 8 MHz, so you can access the internet without a problem. Of course you need time, the homepage is availible after 10 minutes. The boottime of this system is extremly long, 30 minutes! After 13 minutes you can see the first icons, but there are 17 minutes more, where you can do nothing, before you can start "working". 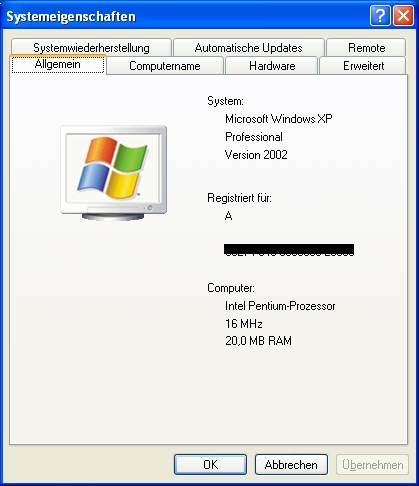 But until this the record of the lamest XP PC goes from Berlin (Germany) to Vienna (Austria). For extreme waste of time. (Windows) 393,60 sec 305,13 sec. 311,40 sec.